Tuesday was not a good day here. I woke up with a stomach bug and accomplished exactly nothing all day. Therefore, there was nothing to post yesterday. Thankfully, I am feeling better and have made some progress today. This quilt is in the frame and half quilted. I decided to use my Baptist a Fan pattern boards. I am using Pellon 80/20 batting, MagnaGlide Classics bobbins, and Superior Mono-Poly on top. I hope to finish the quilting today. I worked a bit on my basket block for the Gwennie Inspired Medallion QAL while watching some TV with the mister last night. These circles are far from round! LOL! Have a great day! Sorry to hear about your tummy troubles – hope that is all gone now. Lovely quilting there. Glad you are on the mend! Your baptist fans are WONDERFUL!! And so are your circles!! Sorry to hear you had a bad day. Tuesdays are like that sometimes! I can’t wait to see your basket center! Hope you’re feeling better. Take it easy. I found a really good method for circle applique using Erin Russek’s method (her blog is One Piece at a Time). It’s requires a few more steps to the process, but makes the circles nice and smooth and is less stressful. I’m glad you’re feeling better. I’ve learned that what might seem wonky up close rarely is from normal viewing distance. 😉 Love the Baptist Fan quilting and love that quilt … it’ll be absolutely spectacular when finished. Glad to hear that you are feeling better! 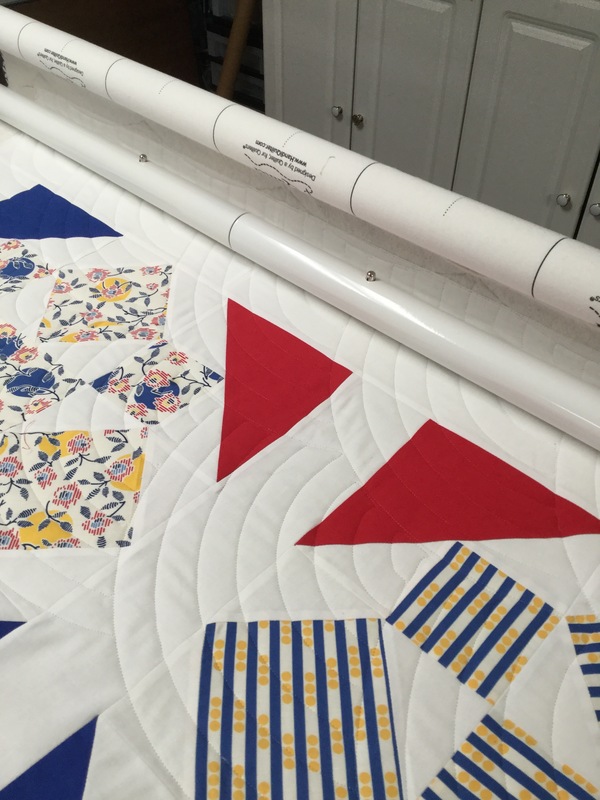 I think the Baptist Fan is a perfect choice for this quilt…. 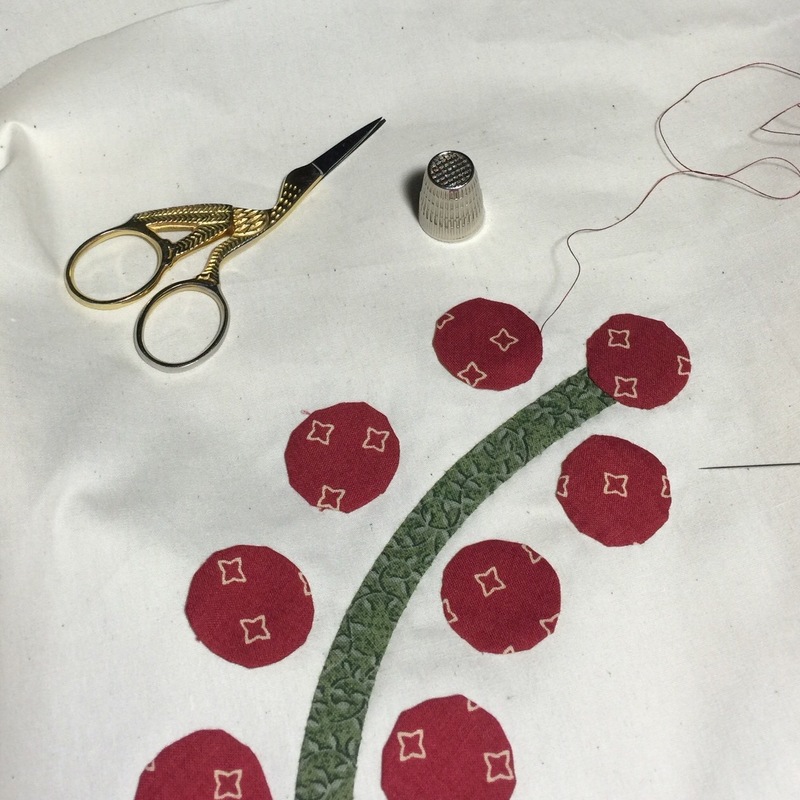 Your appliqué is coming along nicely! !